Below you can view all the highrises for sale in the 1010 Midtown subdivision located in Atlanta Georgia. 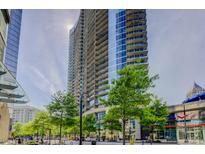 Listings in 1010 Midtown are updated daily from data we receive from the Atlanta multiple listing service. To learn more about any of these highrises or to receive custom notifications when a new property is listed for sale in 1010 Midtown, give us a call at 404-998-4063. Excellent Restaurants Below And Piedmont Park Only A Few Blocks Away. MLS#6539426. Palmerhouse Properties. Only 2 Blocks To The New Whole Foods, Marta, Restaurants & All That Midtown Offers, At Your Fingertips! MLS#6538759. Palmerhouse Properties. Live In The Heart Of Midtown And Enjoy Walking To Everything While Enjoying Some Of The Best City Views In Atlanta! MLS#6535544. Atlanta Fine Homes Sothebys International. Walk To Everything Midtown Has To Offer! MLS#6531182. Engel & Volkers Atlanta. Enjoy 24/7 Concierge, Large Fitness Center, Club Room, And Resort-Style Pool With Unobstructed Midtown Views. MLS#6519480. Avenue Realty, Inc..
2 Blocks To The New Whole Foods Midtown. MLS#6519469. Above Atlanta, Llc.. It Is A Short Walk To The Marta Station, Fox Theater, Parks, Shopping, Coffee House And Restaurants To Have A Vacation Ever Day Without Leaving Home! MLS#6515075. Donald Ray & Associates, Inc.. 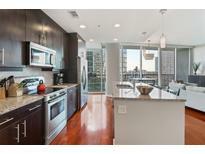 Walk To Over 100 Restaurants, Piedmont Park, Marta, Theaters, Beltline, New Wholefoods & More! MLS#6513265. Palmerhouse Properties. You Will Want To Call This Home! ! MLS#6511549. First United Realty Of Ga, Inc..
1010 Midtown Has A Walk Score Of 93 And Only 2 Blocks To Marta. MLS#6122252. Engel & Volkers Atlanta. 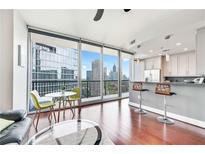 Nw View Captures Midtown'S Finest Skyline Views MLS#6118375. Re/Max Metro Atlanta Cityside.